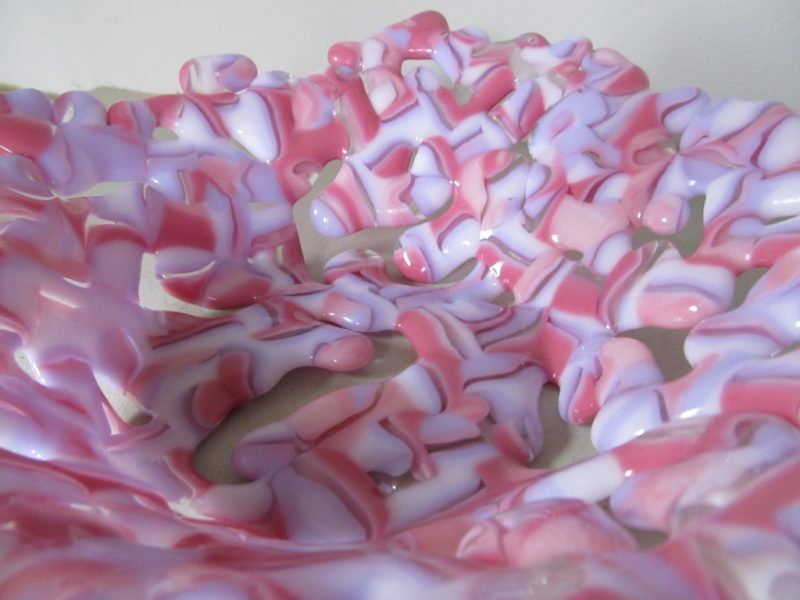 An unusual fused glass bowl in candy pink & lilac shades of glass, fused to melt together in an abstract style. 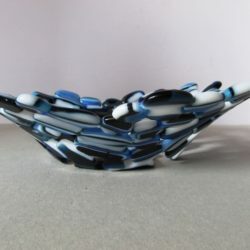 This bowl was made using the pebble technique – different colours of glass is first cut into pieces and fused together, it is then cut again into small pieces and fused again to make ‘pebbles’, these are then arranged closely together and re-fused to form a circular shape with an undulating edge. 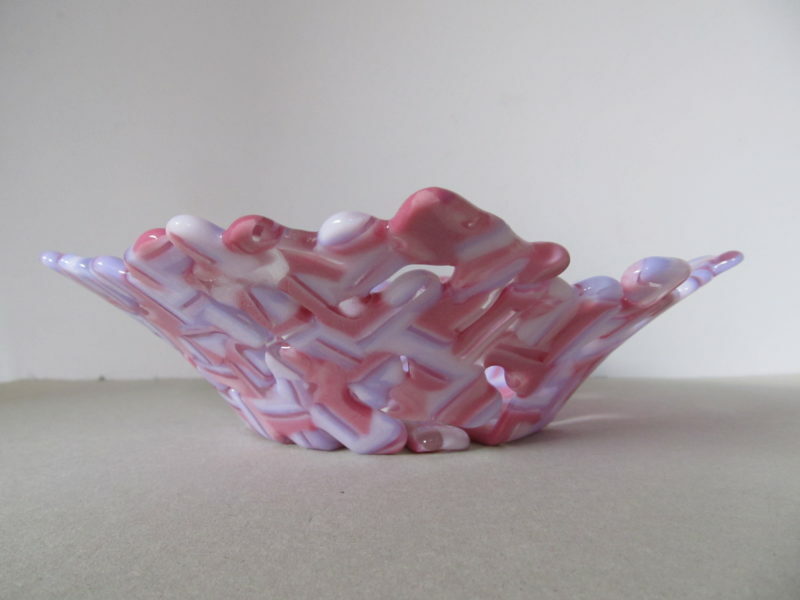 The glass is then fused for a final time within a mould to create the bowl shape. No two such bowls are ever the same. 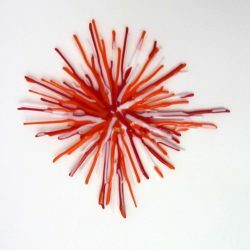 As the glass reacts to the kiln firings it flows together and creates unusual shapes and spaces. 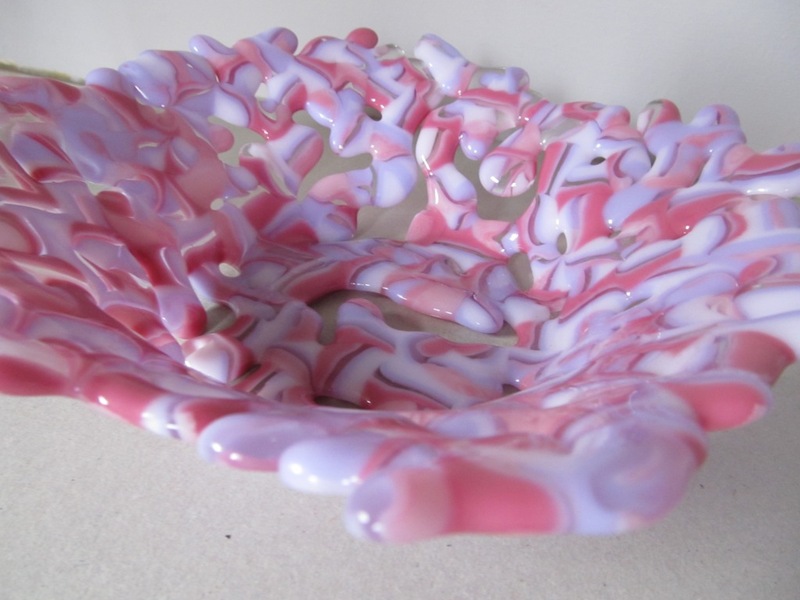 As such these bowls cannot hold liquid but do make beautiful centrepieces. This bowl is approximately 24 cm in diameter and 6 cm deep. 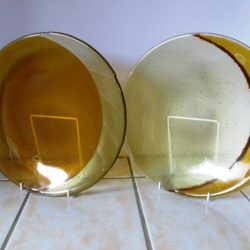 The glass itself is approximately 6 mm thick and has a smooth surface sheen.